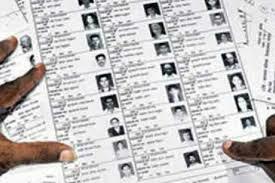 An electoral roll is a list of names prepared by the Election Commission of India. This includes the names of all the people, aged 18 years and above, who have voter ID cards. Basically, all the people who will be able to vote for the upcoming elections. After this search, you will either be able to see your name on the roll or there may be cases where the name does not appear. How to get your name onto the electoral roll? Depending on the case, the EC has various forms on the National Voters’ Service Portal. On the main page, one can see the links to various forms. New voters must fill form 6 in order to register themselves as voters. You will need a passport sized photo and proof of age and residence. There may be cases, where people who are alive appear as deceased on the electoral roll. Some people’s age may be wrong or spelling may be incorrect. To update or correct the details on the electoral roll, one must fill Form 8. If you have relocated to a different location within the constituency, use Form 8A. If you wish to delete your name from the voters’ list from any constituency and relocate to a new constituency, form 6 must be filled along with form 7. Form 6 is to register to vote in a new constituency and by filling form 7, your name will be deleted from the voters’ list in the old constituency. My voter card has lost, can you help me,how can I get the card ..? Had voted in the Assembly elections. When will the card be issued to me. I have Election card but my name is not showing in the electrol list why I do? please resolve my error. new voter card how to applyin......? I applied voter Id card but still not received. My voter id what is the statious .